Very nice three column Joomla 1.5 business website template available for free download. This free Joomla template has main content in left column. Two sidebars are on the right. Template has brownish stripped background and horizontal tabbed navigation bar. 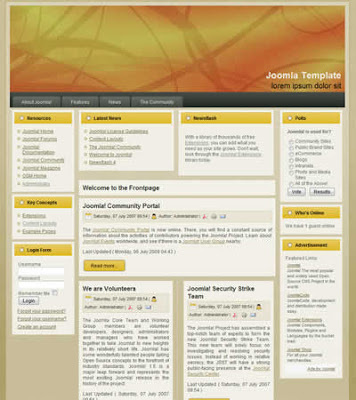 Very nice Joomla 1.5 template available for download. 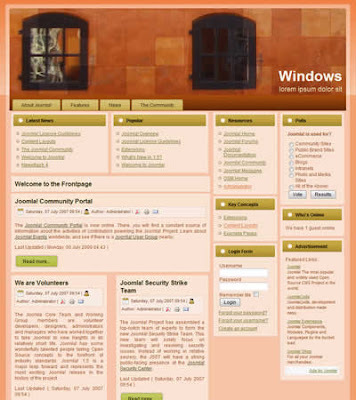 This free Joomla 1.5 Template has three columns with main column on the left. Horizontal navigation bar is on the top of the header. Nice three column Joomla 1.5 business website template available for download. 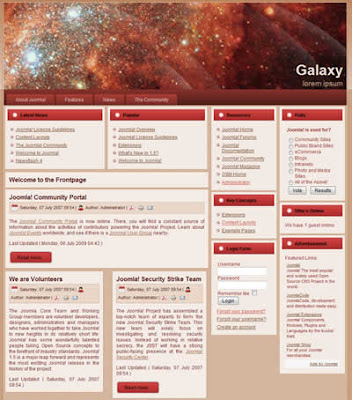 Main content is on the left and two sidebars on the right. This free Joomla 1.5 business template has orange tabbed navigation bar on the top. Three column Joomla business template with main content in the center column. 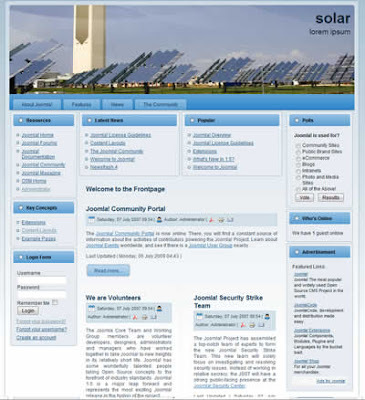 This free joomla 1.5 template has image of solar power plant in the header. Horizontal tabbed navigation bar is under the header. Sidebars are placed in the left and right columns. Three column free Joomla 1.5 template available for download. Template has main content on the left, sidebars on the right, tabbed horizontal navbar is on the top. Download this joomla 1.5 business template for free. 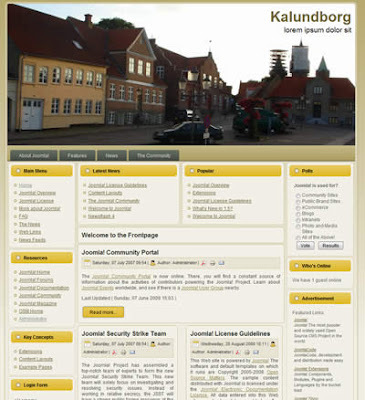 Very nice Joomla 1.5 website template with nice image in the header. 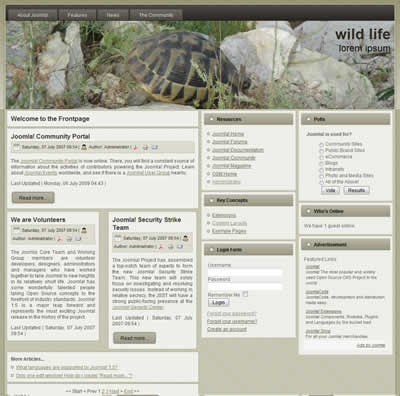 This free Joomla 1.5 template has three columns with main content on the left. Template can be used for business website, news portal or blog. Download this free joomla website template and use as you wish. 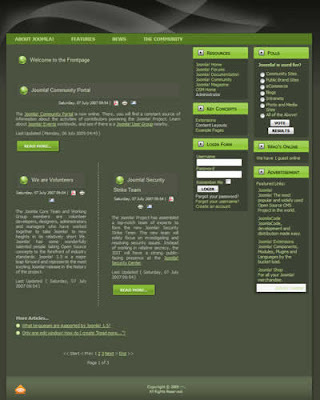 Two column joomla 1.5 template available for free download. Template has main content in the left column. 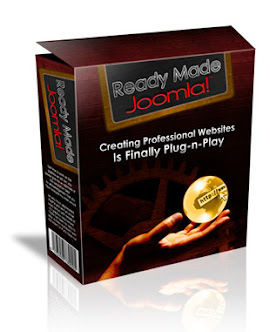 Joomla 1.5 template with image of two wimdows in the header ready for download. This free business Joomla 1.5 template has three columns with main content in the left column. Themplate can be used for a different website projects. Business Joomla 1.5 website template with orange header ready for download. 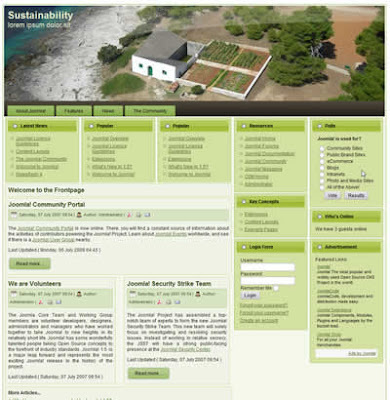 This 3 column free joomla 1.5 template has main content in the centre column and sidebars in left and right column. Template can be used for number of different projects. Nice three column Joomla 1.5 business template ready for download. 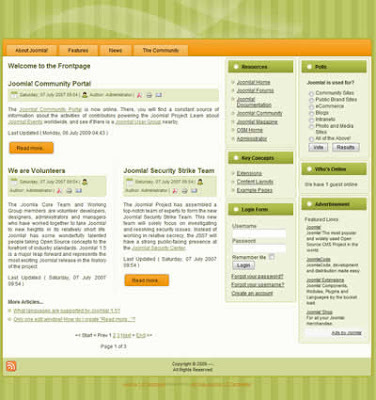 Template has three columns with main comtent on the left and sidebars on the right, gradient background, tabbed navigation bar, header and footer. Nice three column business Joomla 1.5 website template with yellow color scheme available for download. Template has main content in the center column and sidebars are left and right. 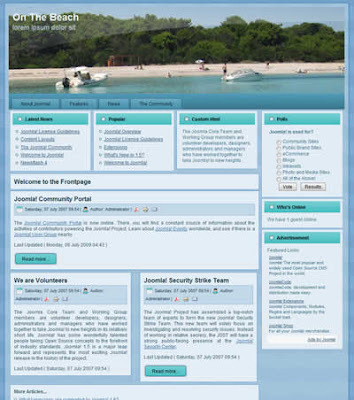 This free Joomla 1.5 website template can be used for travel blog or for any other project. If you find this blog useful please vote. 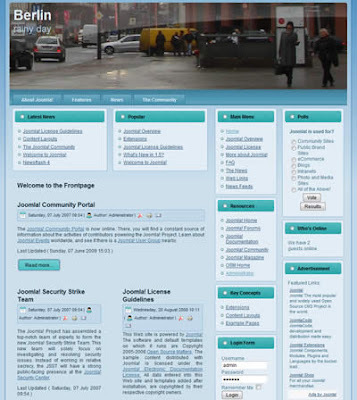 This is a place where you can download completely free joomla 1.5 website templates. * Google's use of the DART cookie enables it to serve ads to your users based on their visit to your sites and other sites on the Internet.